You sure must’ve seen this abomination of a once great super car called the Mercedes Benz SLR Mclaren which was a normal Mercedes Benz SL class coupe given to Mclaren to beef it up as a sports car and they did one spectacular job with but for some – it was not enough and there was room for, I was going to say improvement but sometimes the engineers and designers do such a great job that you have to admit that if you try to improve than you’ll mess it up. However, so isn’t the case with this abomination, this is what happens when you have so much money that you don’t know how to spend in a way that will get you the best attention from the society you move in. 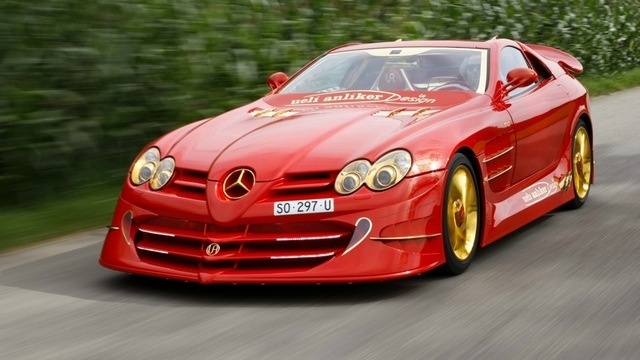 If you really want a December to remember, stick a bow atop this gold-plated, ruby-encrusted Mercedes SLR. It’s the dream car of Swiss club owner and Thai-food impresario Ueli Anlicker, who built the “Red Gold Dream SLR.” And it’s $11 million. 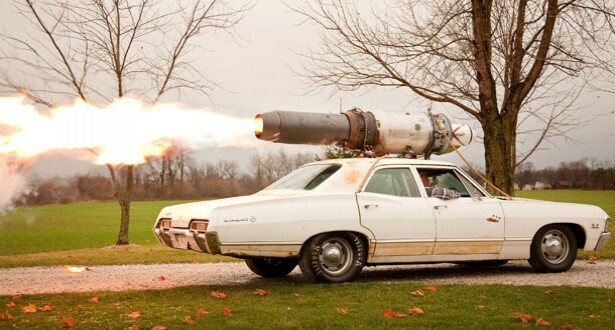 We first reported on the world’s gaudiest car back in 2009. The Mercedes-Benz SLR McLaren Red Gold Dream had been decorated with 500 rubies — including the rubies that comprise its wheel lugs — and slathered in 14-karat gold, making it, as some might say, quite eye-catching. Lest the glittery stuff take the focus away from the car’s, ahem, performance, Anlicker says it’s been tuned to produce 700 hp, but he wants to bring it up to a cool 1,000 before selling it. This car’s security is similar to Honda Civic except that when anyone passes by the car, its security system shouts at the passerby to not touch the car or something to avoid any retina damage. Moreover, the car is estimated at being worth around $4.3 million. Now, Anlicker says it’s worth $11 million, and says he already has heard from prospective buyers, unsurprisingly from China and the Middle East.